Great offroad route that descends to Saguaro Lake. 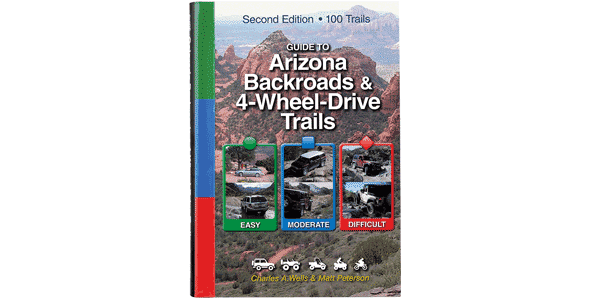 We discovered this route several years ago while working on our Phoenix ATV book. Turns out it’s a great Jeep route as well—terrific views looking down on Saguaro Lake and some challenging rocky hills. You’ll visit two more coves: one with a rocky shoreline, and another with a great beach. Warning: We’ve done the best we can with directions, but route-finding is still very confusing in a few spots. We couldn’t quite bring ourselves to rate this trail difficult, but it comes close. Future erosion of steep hills could take it to that level, so be careful. Stock 4-wheel-drive SUVs should have very high clearance and good articulation and/or lockers.